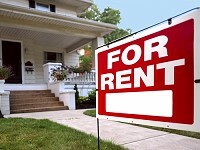 In last week’s column, I shared some of our secrets we use to get our rental properties back from our residents (tenants) in a clean, ready-to-rent condition. Today, let’s finish up. Earlier this month, three investors visited our ranch. They were having a lot of trouble with their rental properties. In addition to high turnover rates, when the tenants moved out, they left the homes a wreck. 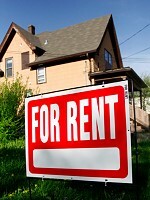 The investors wanted to know how to more effectively manage rental properties and tenants. They couldn’t have picked a better time to visit. Two of our properties had just gone vacant. The first property was a high-end home – the husband had been hired by the FBI. The second home was in a tool-belt neighborhood – the couple had just bought their first home. I’m SO excited about our Very Special Guest Speaker this Monday at the Atlanta REIA West Meeting that I almost wish we could just skip right over the weekend and get right to it! 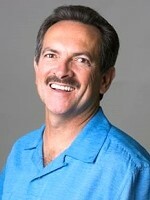 RUSS HINER is gracious enough to come speak with us about “How to Negotiate Your Way to Success”. What a great opportunity to learn priceless negotiating skills from one of Atlanta’s strongest real estate investors! Russ is definitely highly qualified to speak on this topic. 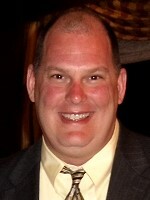 Listen to this… you wouldn’t know it from talking with him, because he is not one to “toot his own horn” and he may be upset with me for even sharing this with you, but I found out through the grapevine that his background includes being a coach on the teams of such legends as Russ Whitney and Robert Kiyosaki! You think he may know something about negotiating that we can learn from? ABSOLUTELY! Let’s face it folks, whether we are buying a house from a seller, selling a house to a buyer, or simply buying something at our local retail store, what comes out of our mouth when we are negotiating on every transaction determines our financial success in life. Those of us who learn to negotiate the best, wind up with the biggest stacks of CA$H! Listen, all the techniques and strategies for buying and selling real estate can be learned along the way, but it’s the negotiating that determines how big our checks are with any strategy. So, it just makes sense that if there is one skill that we as real estate investors should spend our time and efforts learning, practicing, and continually improving upon, it’s DEFINITELY negotiating. And Russ is going to speak on this very topic for us this Monday, June 27th at the Cherokee Cattle Company for FREE for Atlanta REIA Members, and only $5 for non-members! No matter if you haven’t done your first deal yet, or you are a seasoned investor, DON’T MISS THIS ONE, its sure to be some of the best information you could possibly expose yourself to in order to help you get to the next level. See you Monday! Be sure to come early to get a great seat and soak up everything Russ has to share with us. Have a great weekend! I hope it goes by fast! 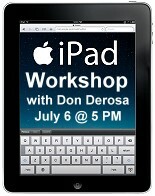 If you want to learn how to use the iPad to revolutionize your business, come join us at for Part 2 of the iPad Workshop with Don DeRosa on Wednesday, July 6th at 5 PM at our Atlanta REIA North Office located at 1960 Skylar Hill Dr in Buford just a few miles from the Mall of Georgia or online via GoToWebinar.com. The workshop is only $10 for Gold Members, $20 for Silver Members and $30 for guests. PLEASE NOTE: If you attended PART 1 of the iPad Workshop on June 22nd, you can attend this 2nd iPad Workshop at NO CHARGE by using coupon code “IPADPART1“. If you are an Atlanta REIA Member and missed the first workshop, you can pay to attend Part 2 of this iPad Workshop and watch a replay of Part 1and Part 2 on the Members Only Section of AtlantaREIA.com as they becomes available. 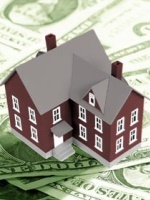 A study by west coast foreclosure research firm, ForeclosureRadar shows that along the west coast, at least, investors beat out lenders by a substantial margin in selling foreclosed property to end buyers. Buying short sales to flip is a great opportunity for some serious cash flow, and investors are proving to be much more adept at selling these homes than the banks that are foreclosing. Don’t Let Fear Stop You From Succeeding! As a real estate investing teacher, way too often, I forget how scared Kim and I were when we first started buying investment real estate. We didn’t know the language, the techniques, the paperwork, the steps – nothing! For example, in 1997, when we first heard a speaker talk about a creative deal structure called Subject-to deals, I remember writing Kim a note during the presentation that read: No seller would ever agree to this. It’s got to be illegal! Boy, was I wrong. Not only were Subject-to deals legal, they were done all the time. In July, Atlanta REIA is celebrating our 1 Year Anniversary! It has been a great year and we have grown our membership to hundreds of members and have dramatically expanded and improved our organization. We thank all of our members, volunteers, subgroup leaders, vendors and speakers who have contributed to our growth. To celebrate our 1 Year Anniversary, the 4th of July and our Financial Independence Day, we are throwing our first exclusive Atlanta REIA Vendor Trade Show on Monday, July 11th at 5:00 PM at the Westin Atlanta Perimeter North located at 7 Concourse Parkway in the Bernstein Ballroom overlooking the hotel pool and patio. Atlanta REIA Members and Guests can attend at NO CHARGE. Vendors can reserve a vendor table for as low as $30. Everyone has probably heard about the hot new iPad 2 by now. You’ve probably also heard Don DeRosa talk about how its not just a cool new toy, but an integral tool he uses to run his real estate investing business. You’ve probably already seen many investors actively using their iPad at our Atlanta REIA Meetings and Networking Events to take notes, take pictures, play music, videos and webcasts, send and receive emails and keep track of all our upcoming events and more. Perhaps you’ve recently purchased an iPad yourself and, like the rest of us, want a lesson on how to not only use it more effectively for personal use, but more importantly, use it to run your investing business from virtually anywhere, on-the-fly. If you want to learn how to the iPad to revolutionize your business, come join us at our first iPad Workshop with Don DeRosa on Wednesday, June 22nd at 5 PM at our Atlanta REIA North Office located at 1960 Skylar Hill Dr in Buford just a few miles from the Mall of Georgia or online via GoToWebinar.com. The workshop is only $10 for Gold Members, $20 for Silver Members and $30 for guests.